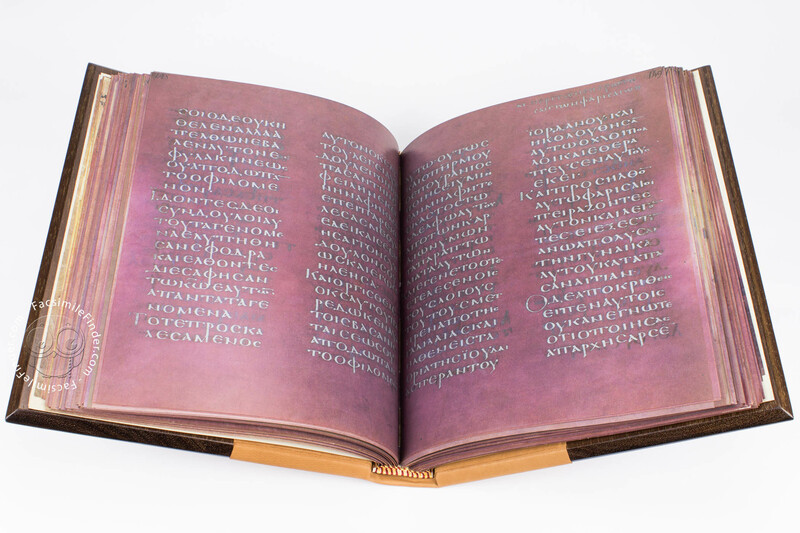 Crafted almost 1500 years ago, the Codex Purpureus Rossanensis or Rossano Gospels, is undoubtedly one of the most priceless and important illuminated manuscripts in the world, namely because it is one of three oldest ever manuscripts to have been penned in golden ink on purple parchment. 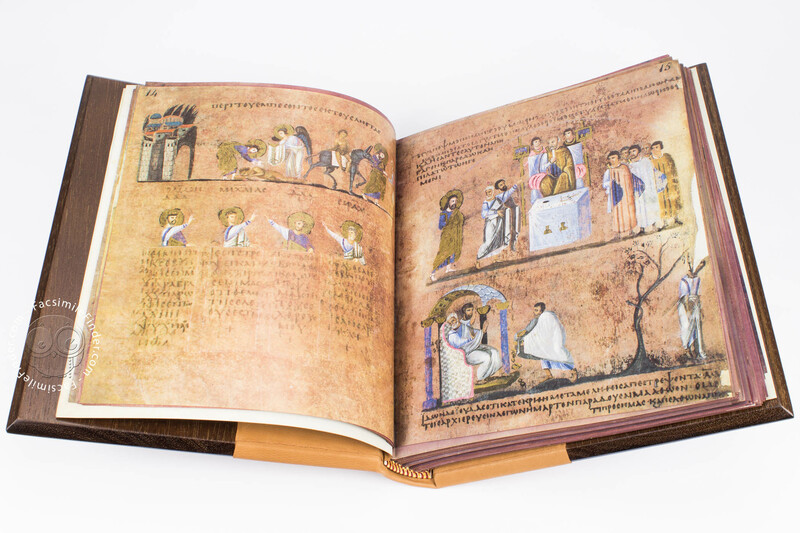 The beholder stands in awe before its detailed depictions, an inestimable and unique testimony to witness to 6th century Byzantine art. 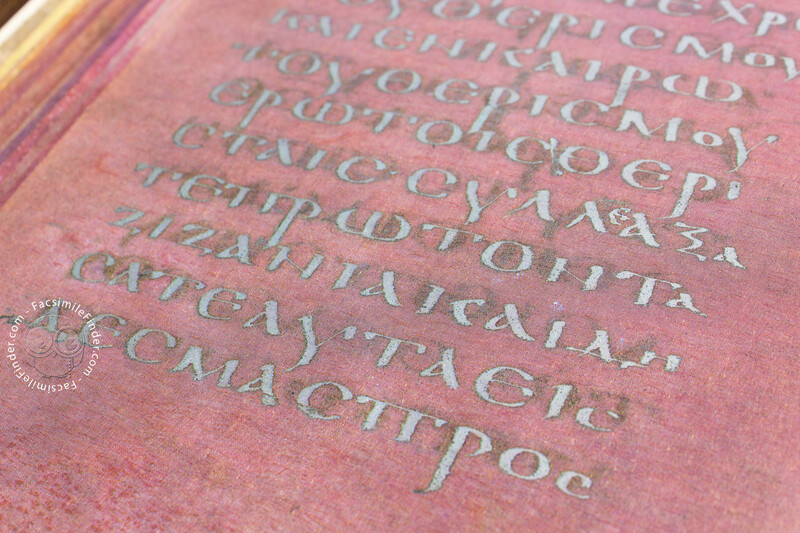 The Greek text, written in beautiful silver and gold majuscules, encompasses more than 386 pages. 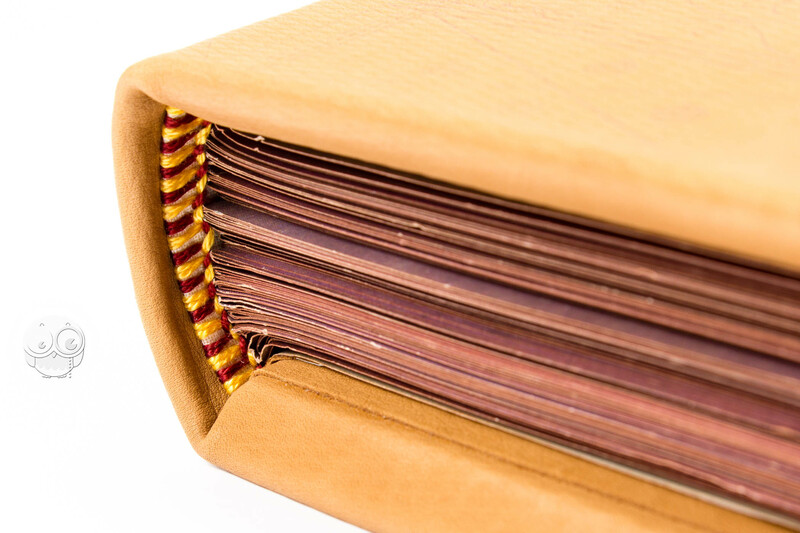 Unfortunately, the manuscript has been handed down to us incomplete, more than half of its original 800 folios now irremediably lost. 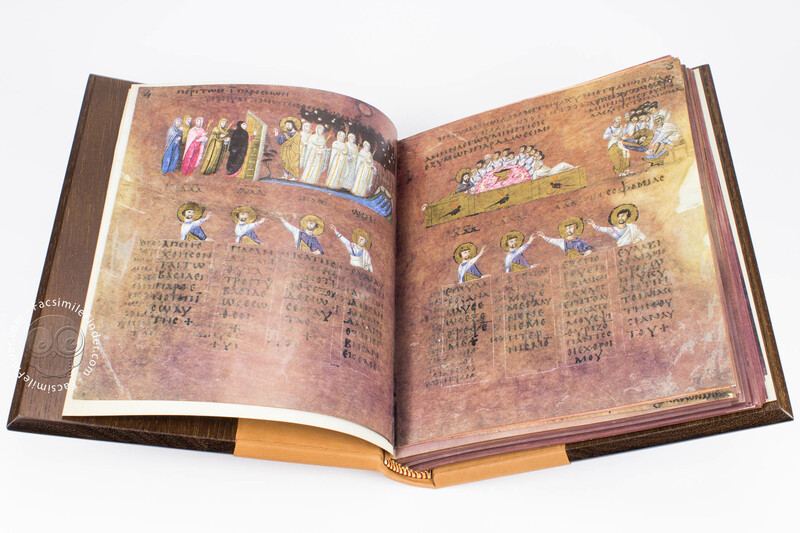 In their current state, the Rossano Gospels include the complete Gospel of Matthew and nearly whole of Saint Mark's. 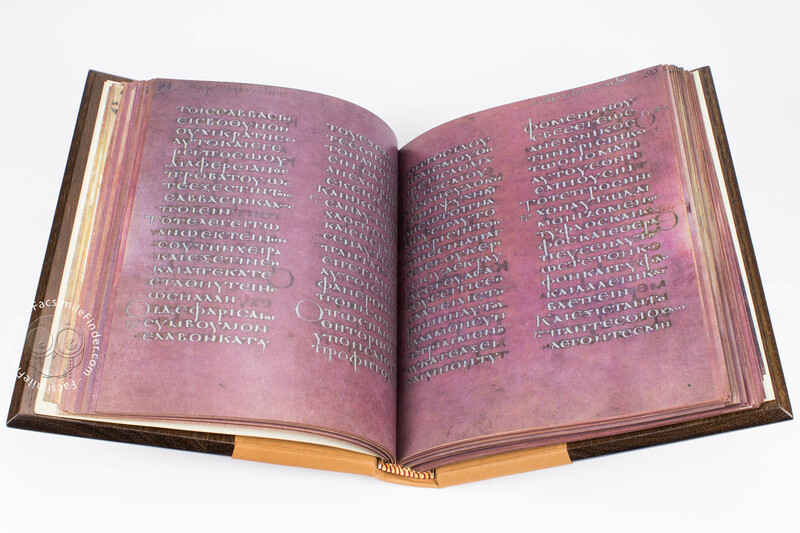 Aside from being extremely precious, this manuscript is also exceptional because it is one of only a few purple vellum codices dating back from Late Antiquity to include miniatures. 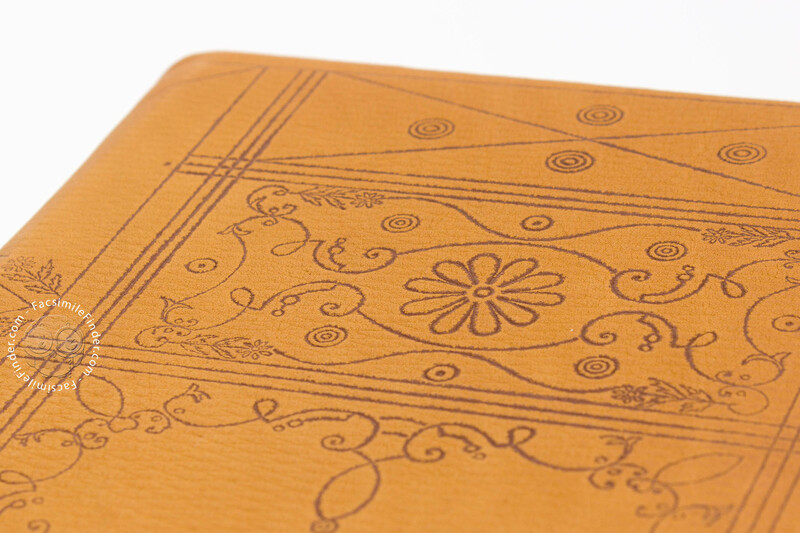 Some of the opulent depictions, crafted by the time's most skilled artists, are page-wide, while others precede or follow the textual part in a frieze-like pattern. 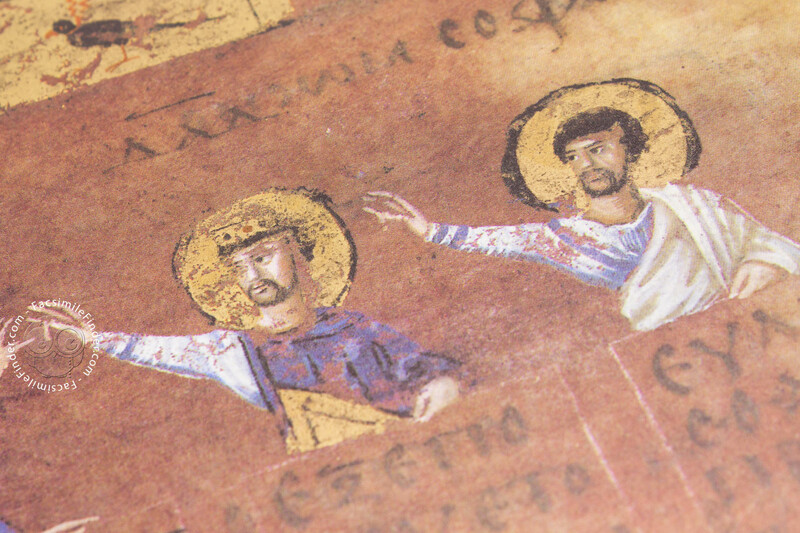 The Rossano Gospels' depictions were undoubtedly inspired by previous models, possibly wall painting. 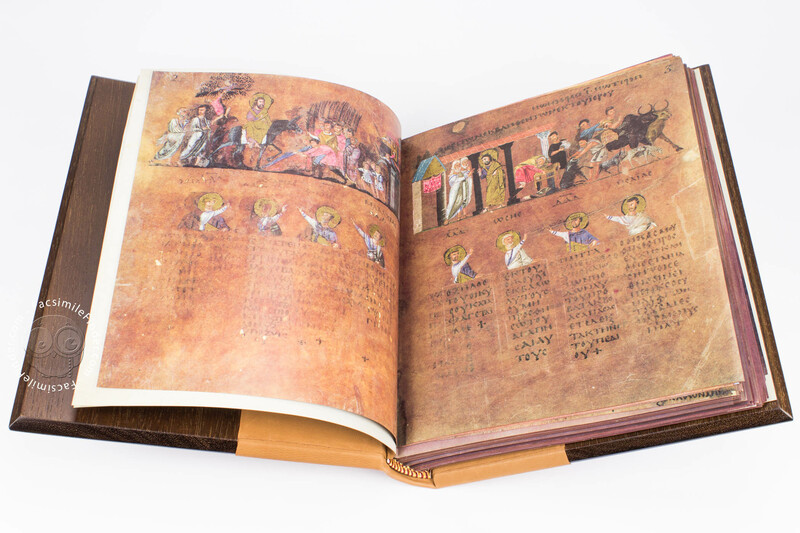 Scholars deem the illuminations in this book to be the best example of early Byzantine art to have ever reached the present day. 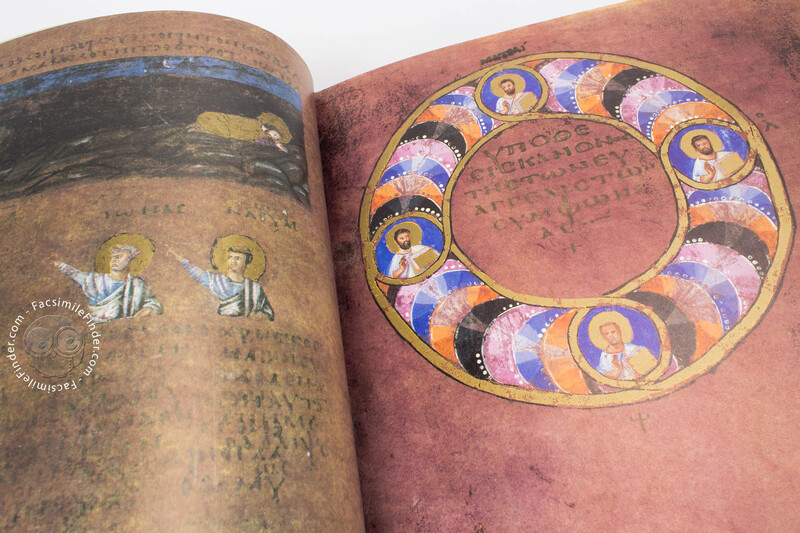 The portrait of Saint Mark the Evangelist found in the Codex Purpureus Rossanensis is particularly interesting, as it is the first depiction of an Evangelist in the history of manuscript illumination. 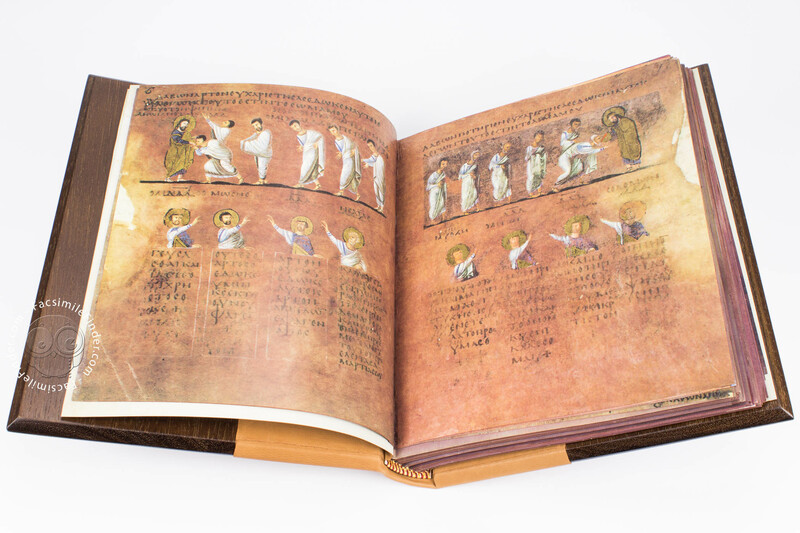 The Rossano Gospels are peculiar and different from similar manuscripts from the time: their unique style and design are unpareleled. 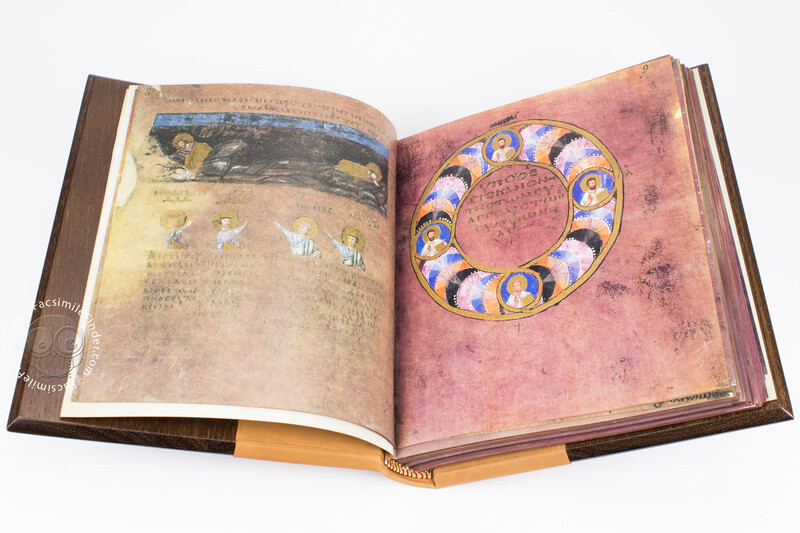 The book's illuminations seem highly influenced by Byzantine art, a model that inspired its monumental and awe-inspiring character. 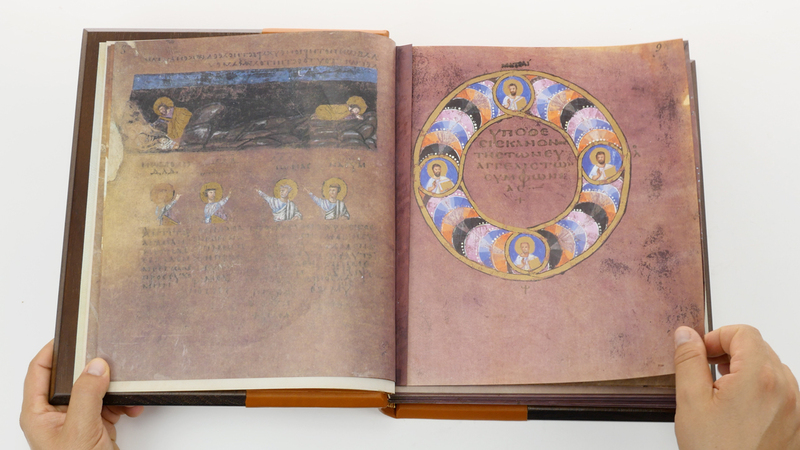 The codex is one of the first to withdraw from Classical archetypes, and move towards a more abstract, 'Byzantine' artistic expression. 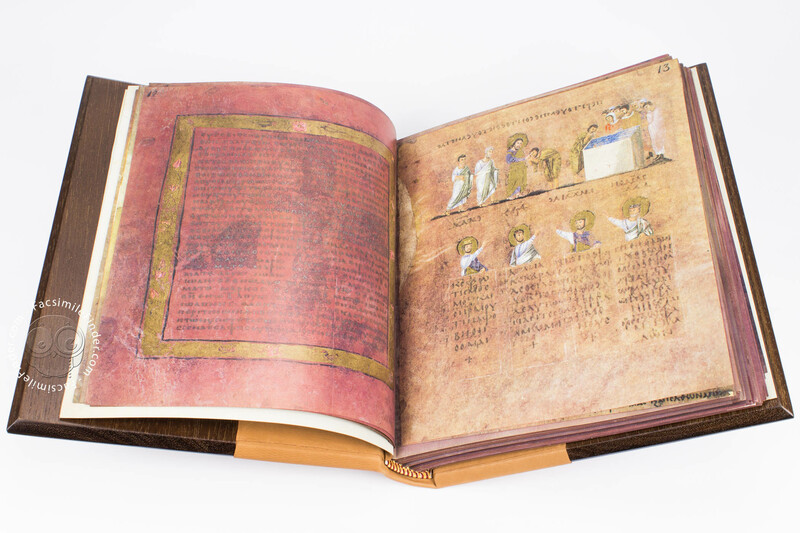 The Codex Purpureus Rossanensis is thus one of the most momentous testimonies in the history of illumination. Manuscript book on parchment − 30.7 × 26 cm − 376 pp. 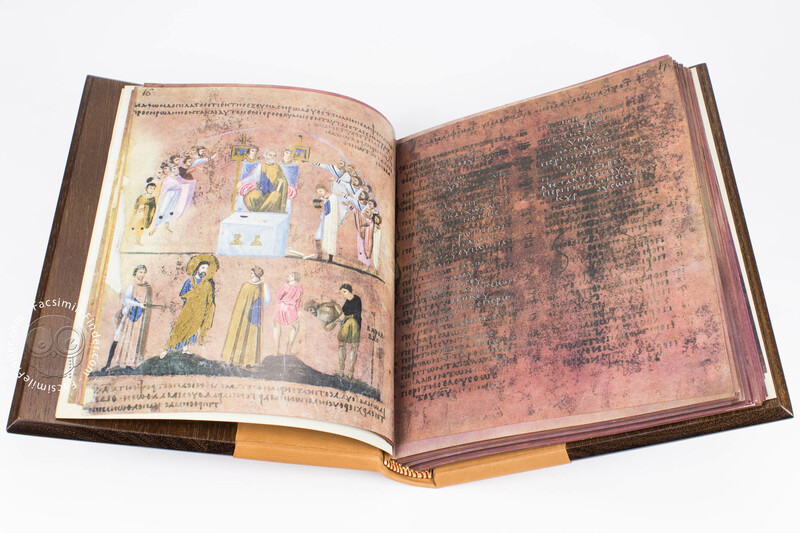 Der Codex Purpureus Rossanensis facsimile edition by Adeva. 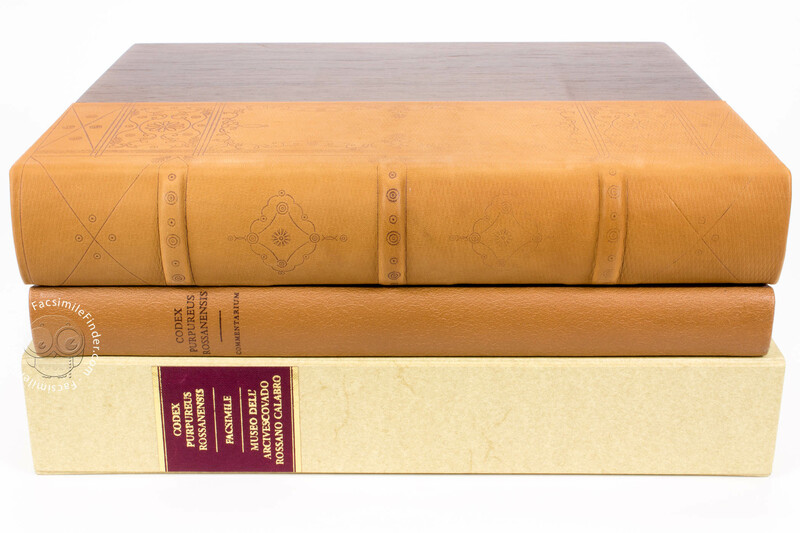 Commentary (English, Italian) by Cavallo, Guglielmo; Loerke, William C.
Full-size color reproduction of the entire original document, Codex Purpureus Rossanensis: the facsimile attempts to replicate the look-and-feel and physical features of the original document; pages are trimmed according to the original format; the binding might not be consistent with the current document binding. 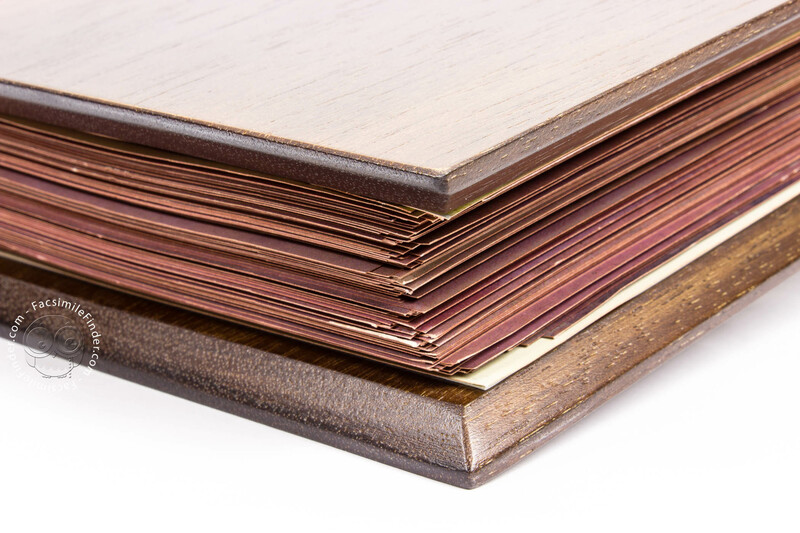 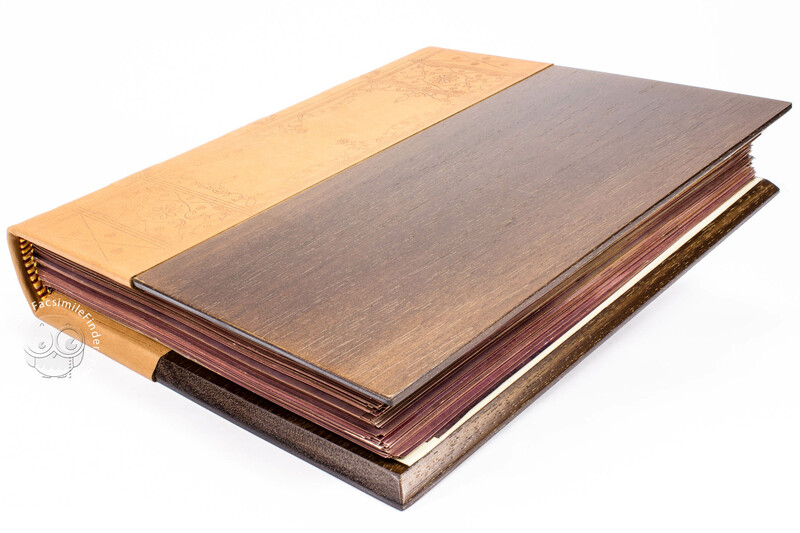 Solid wooden boards and half leather cover. 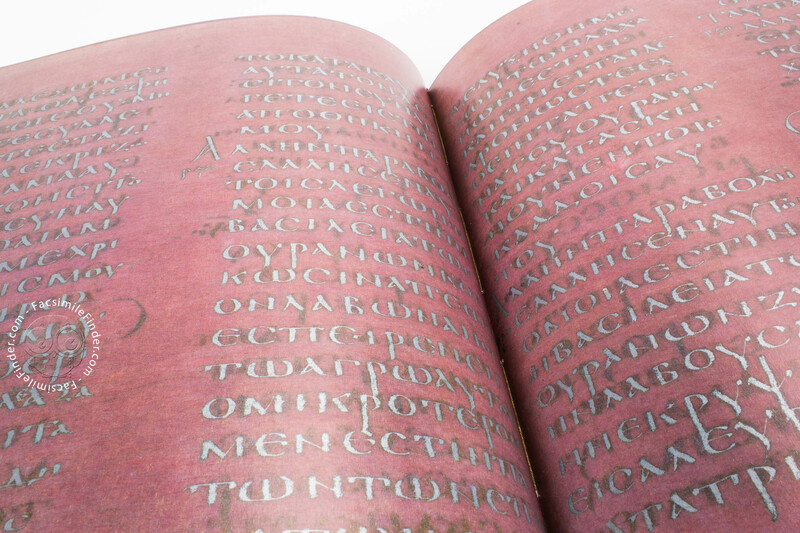 Codex Purpureus Rossanensis facsimile edition by Salerno Editrice.